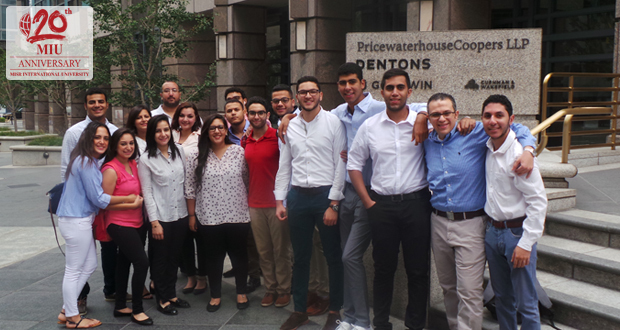 Misr International University’s Faculty of Business Administration and International Trade joined the “Go Audit” program for the 5th time as 16 students from the Accounting major participated in this session held in Los Angeles. The previous editions of the program were held in Barcelona, Belgium, and Portugal where a total of 75 MIU students participated in the PWC Program. 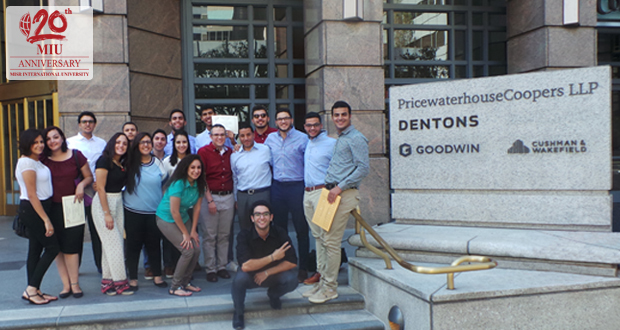 The program was held from the 6th to the 19th of August 2016, by PricewaterhouseCoopers, in Los Angeles aiming at measuring the improvements of the four learning dimensions (skill development, knowledge transfer, learning through experience, and demonstrating behavior) throughout the program. In addition to business analysis, risk awareness and procedures, the competencies addressed in the program included product knowledge, business and market awareness, people management and teamwork, and persuasiveness and sales ability. The improvement in performance of the participants was measured as part of the appraisal process. Being keen on developing its students’ skills; MIU always seeks the advantages of such programs and workshops.